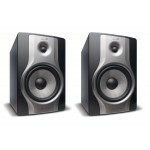 The BX5 D3 from M-Audio is a 2-way, 100W powered studio monitor designed to .. 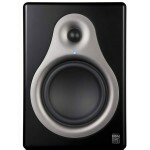 The single M3-8 3-Way Active Studio Monitor from M-Audio is designed to brin.. 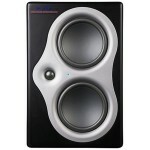 The Studiophile DSM3 from M-Audio is a professional-quality 2-way .. 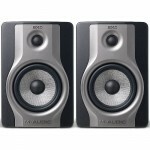 The BX8 Carbon studio monitor helps you track, monitor, and mix with confidence by providing accurat.. 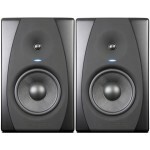 The BX5 Carbon studio monitor helps you track, monitor, and mix with confidence by providing accurat..
A studio monitor that offers accurate listening in any acoustic environment. 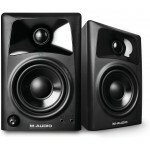 The M-Audio St.. 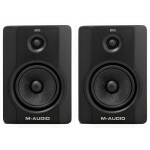 The M-Audio AV42 monitors are encased in acoustically-inert MDF cabinets that eliminate clarity-robb.. 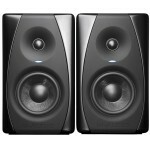 The M-Audio AV32 monitors are encased in acoustically-inert MDF cabinets that eliminate clarity-robb.. 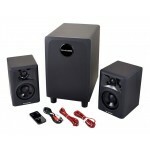 The AV32.1 is a complete high-performance sound system that delivers deep, lifelike, full-range soun.. 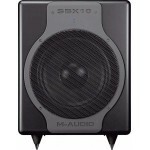 The active M-Audio SBX10 subwoofer gives your monitoring system some serious l..
OVERVIEW With Kevlar low-frequency drivers, waveguide-loaded silk dome tweeters, and custom class..
Updating M-Audio's bestsellers with waveguides and enhanced driver integration. Recording profess.. 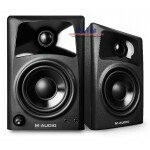 The M-Audio Studiophile DSM2 is a studio reference monitor engineered to provide superior monitori.. 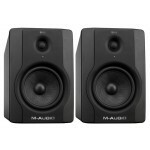 The M-Audio Studiophile DSM1 is a reference studio monitor engineered to provide superior monitori.. 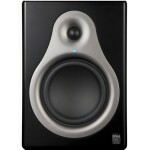 The Studiophile CX8 near-field studio monitor extends M-Audio's 20-year legacy of engineering adva..